An incredibly divisive character, Morrissey has certainly pulled no punches over the years when it comes to being forthright and handy with an opinion. However, he's also incredibly British with his detailed observations on the tediousness of life, a rapier wit which punctures with its dark cruelty and a passion for the stars of Britain's past. In particular, he's never shied away from his admiration of small screen stars such as Pat Phoenix and Violet Carson, so it's no surprise that he's never failed to light up British television when he's made an appearance. And, as I've been listening to The Queen is Dead all week, I decided it was time to look at 6 of the best Morrissey appearances on British TV. Having previously outed himself proudly as being "addicted to Brookside" and later revealing that the cast of Brookside regularly haunted his dreams, it was no surprise to see Morrissey popping up in the 1988 spinoff South for a cameo appearance alongside Tracy Corkshill. Tracy: I know who you are! Airing several months before Morrissey's triumphant return to the world of music with You Are the Quarry, The Importance of Being Morrissey was a Channel 4 2003 documentary directed by Tina Flintoff and Ricky Kelehar that looked to lift the lid on Morrissey's life in the early 00s. Enjoying a self imposed exile to LA and without a record deal, TIOBM finds Morrissey pootling through life in his inimitable manner. Nancy Sinatra - his LA neighbour - pops round to enjoy a drink and chat where she reveals Morrissey to be a great hugger, we're treated to watching Morrissey visit the barbers to get his famous quiff tended to and Morrissey reveals that he never answers the phone, preferring to fax friends and associates. It's a hilarious and fascinating examination of a man whose life, even after watching this documentary, still remains shrouded in mystery and wonder. 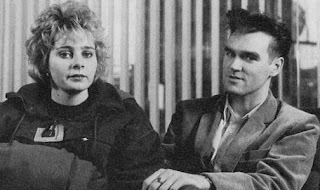 On the promotional circuit for his Years of Refusal album, Morrissey found himself sat on The One Show's sofa opposite Adrian Chiles and Christine Bleakley. Now, with the recession beginning to kick into gear, unemployment was rising, but when pressed for his views on unemployment, Morrissey was singing from a different hymn sheet. Starting off with a damning indictment of the torrid scenario of 1970s unemployment, Morrissey suddenly shifted up a gear when he declared that, despite the shocking nature of job centres in his youth, he was more than happy to be unemployed as he didn't want to work. But what of the white collar workers now languishing in the doledrums of, uh, the dole for the first time in their lives? Morrissey simply quipped, with a twinkle in his eye, "Therefore, why sympathise with them?". Recorded shortly before The Smiths split up, The South Bank Show honoured The Smiths with a documentary delving deep into the mechanisms behind one of Manchester's most important bands, but focused heavily on Morrissey as the heartbeat of the band. 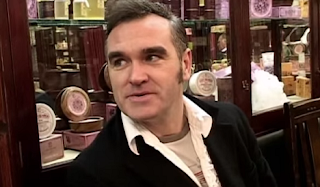 Morrissey was on particularly fine form as he opened up about the influences behind his lyrics and the episode is peppered with his quintessential wit. 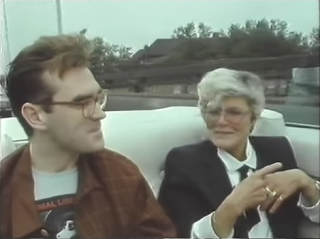 And there's even a chance to see Morrissey riding round with 'infamous wife of a pools winner' Viv Nicholson in a convertible to give the show the requisite curiosity value. 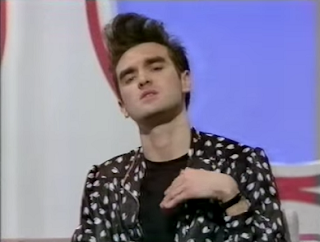 An early British TV appearance for Morrissey here on the Robin Denselow music discussion show Eight Days a Week. Sandwiched between George Michael and Tony Blackburn (blimey! 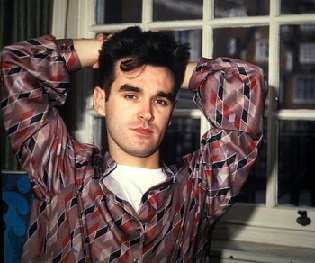 ), Morrissey proves that even in his youth he was an outspoken, but highly intelligent young man. Highly critical, both positively and negatively on the sounds and sights of the day, Morrissey alternates between looks of dismissive disgust and cracking wry smiles as George and Tony contradict Morrissey's views. However, he's relatively well behaved and he's coupled an amazing quiff with an equally eyecatching shirt. Although Morrissey was on to promote Satan Rejected My Soul, it's his opening credit for TFI Friday which finds him in imperious form. Grappling with a dart he manages to, no doubt on the first take, score a bullseye with all the confidence of Phil Taylor and then turn to the camera to deliver a smile steeped in arrogance, but served up with brilliant wit. 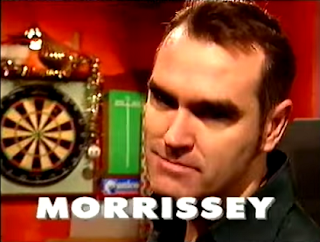 What are you choice Morrissey TV appearances from British TV? Let me know below! The One Show one I fondly recall. I was channel hopping and couldn't believe my eyes when the dire duo of Chiles and Bleakley (surely the most extreme example of a presenting partnership whose belief in their popular appeal was starkly at odds with the reality?) introduced Morrissey onto the sofa. I sat, with an increasing concern that I was gripped in some waking fever dream, at the surreal chat that followed, with Moz revealing that he was pretty much only there cos his mum liked The One Show! I think I may be one of the few people in the country who doesn't mind Adrian Chiles curmudgeonly presenting style. 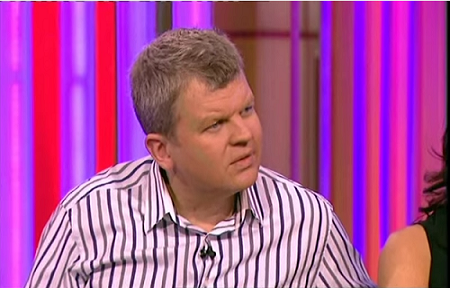 However, The One Show episode where Roland Rat bluntly insulted Chiles is still one of the funniest thing I've seen! Thanks for that link to The Quietus article! And, yes, you can't really fault Tony for his honesty. Even along two young, hip gunslingers he remains steadfast and kicks any pretensions to the curb. When Morrissey met Paul Coia. Pure Partridge. And Coia's jumper is beyond compare! 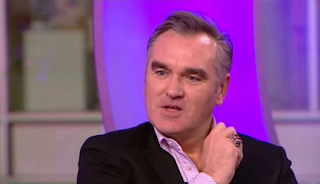 I think Morrissey cut through the blandness of The One Show just by being himself, really. It's such a glib, small-minded programme, and yet it remains so popular. He was clearly having a whale of a time by confounding the expectations of polite guests!